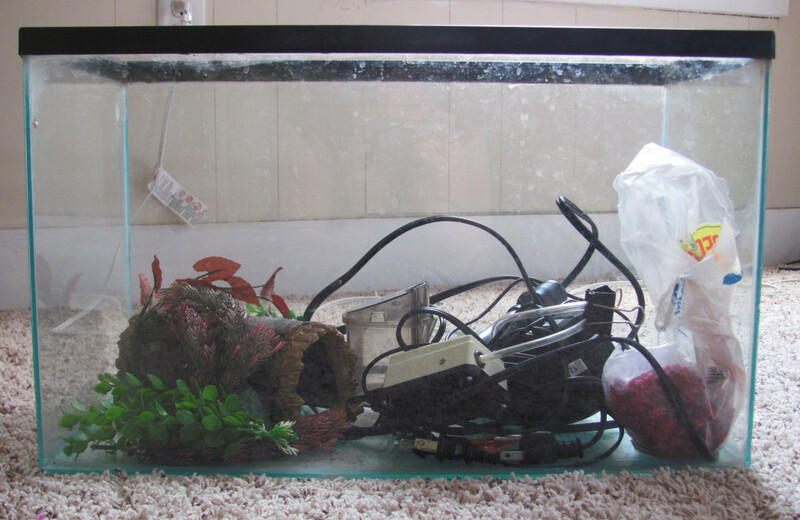 Freshwater aquariums usually include plants. 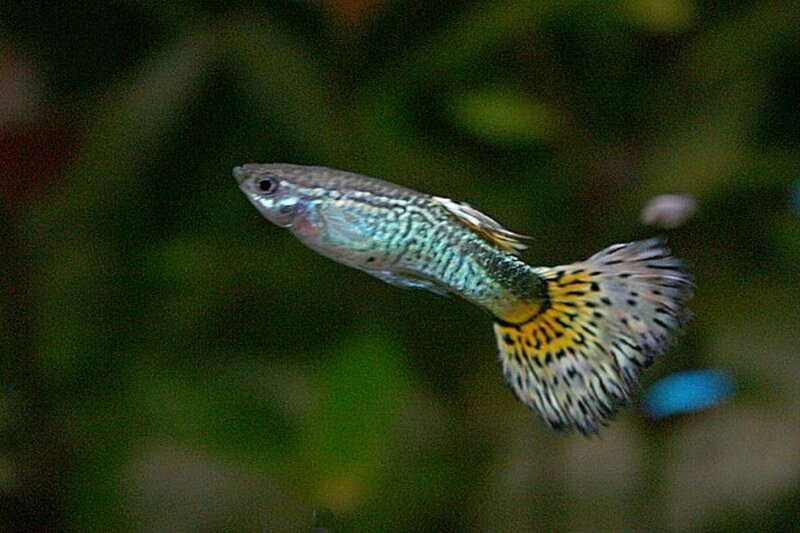 Most tropical fish come from river and lake environments where plants are plentiful, so it only makes sense. Whether live or artificial, plants offer a place for fish to hide and feel secure. They’ll also make your fish tank look much nicer, and can create a realistic natural habitat for the inhabitants of your aquarium. But which is better: Real, live plants, or artificial plants? The truth is that both have their positive and negative points. Your choice will come down to weighing those pros and cons and deciding what is most important to you. This article will help. Here you’ll learn about the benefits of both live aquarium plants and artificial, as well as some of the things you need to watch out for with each. 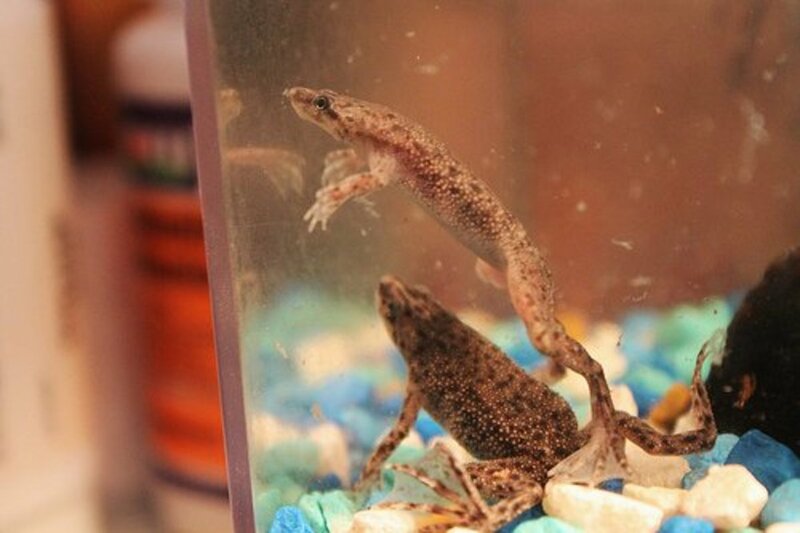 There is no right answer, but, as with everything else in aquarium care, the more you learn the better equipped you’ll be when it comes to making a choice. Ideally, the decision about which kind of plants you’ll use should be part of the process of starting up your aquarium. You can certainly change your mind later, though you’ll need to be aware of the impact the change will have on your tank as a whole. Remember: Your aquarium is a tiny ecosystem, and everything in it, whether real or artificial, plays a role. There are few things more satisfying in aquarium care than enjoying a well-planted tank you created yourself. Done right, live plants are beautiful additions to your tank. Just like fish they grow larger, sometimes expand to take up new territory, exchange gasses, consume food, create waste and may even procreate. The point is live plants are exactly that: Living things in your tank. As such they will have a special relationship with the fish that isn’t possible with artificial plants. Where the fish in your tank take oxygen from the water and expel carbon dioxide, real plants do the opposite, taking up the carbon dioxide and exchanging it for oxygen. Most properly filtered tanks do not have a problem with maintaining enough oxygen in the water, but it is helpful to have poisonous carbon dioxide reduced, especially in heavily stocked tanks. Your plants will have a similar symbiotic relationship when it comes to waste. The very things that can cause an aquarium to become dangerous for the fish, most significantly sources of nitrogen such as ammonia, nitrates and nitrites from their waste, will be soaked up by plants as food. This does not take the place of responsible tank management, but it does make your life a little easier. Live plants are one way to help reduce algae in the tank. Aquatic plants compete with algae for the same food sources, and they usually win the battle. You may still need to do a little scraping from time to time, but a planted tank can really keep algae under control. 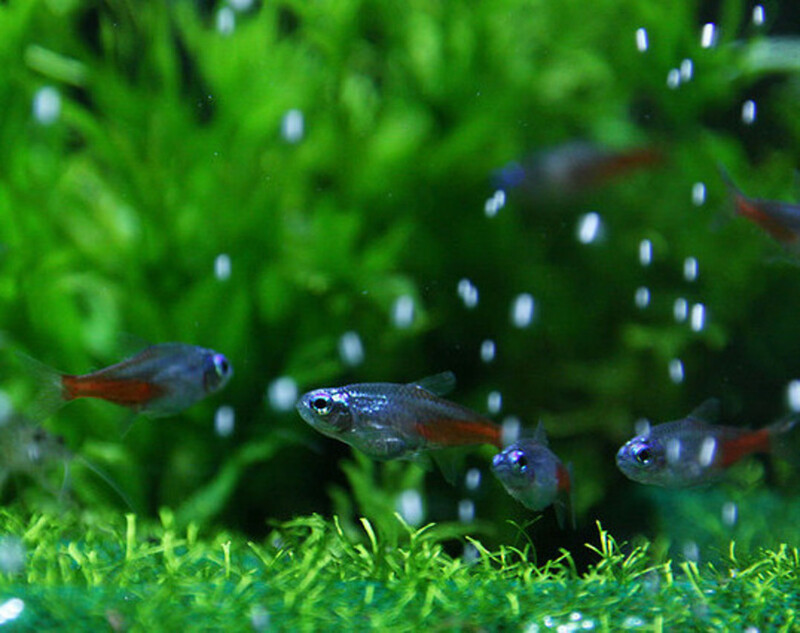 As you can see, there are some great reasons to utilize live aquarium plants in your tank. In fact, it is really the best way to create an environment that is most like what your fish would experience in the wild world. But there are some negatives as well. For one thing, if you plan to have a planted aquarium, you are going to have to spend some time learning about plants as well as fish. How big will they grow? Will they spread? What kind of water do they thrive in? You’ll need to spend some time pruning your plants now and then. Otherwise, they can and will grow out of control. Some widely available aquarium plants, such as the Amazon Sword, really need to be in tanks 55-gallons or larger to reach their full potential. Cleaning your tank is not nearly so easy. On the plus side it is not quite as necessary, but you’ll still need to perform water changes and vacuum up waste from the substrate. What you cannot do is thoroughly vacuum the gravel, as digging into the substrate will not only disturb your live plants but remove some of their food. Nor can you rearrange your decorations so easily, since you’ve got roots to contend with. Once you’ve planted your tank it is best not to mess with it. Some fish are tough on live plants. For example, plecos can destroy them in an attempt to remove any algae, and fish like silver dollars will nibble them to the nub. 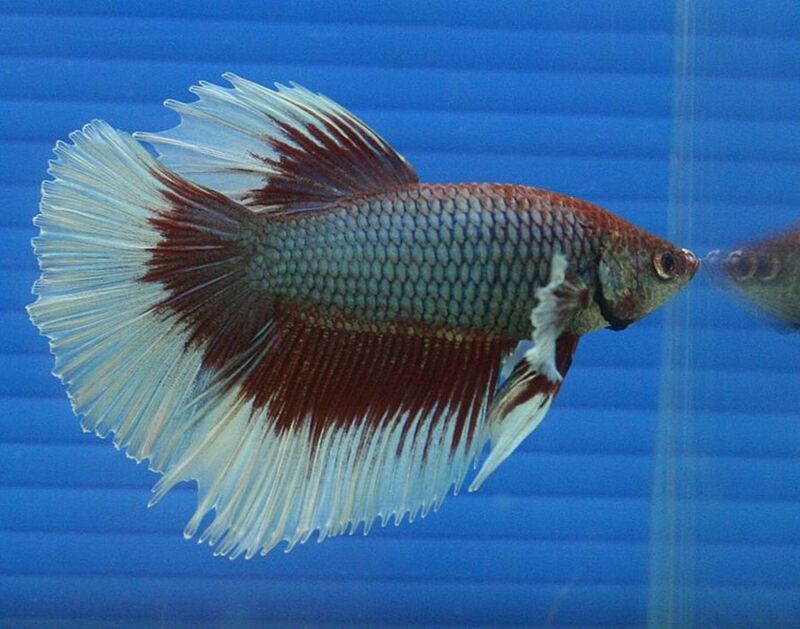 You have to be aware of which fish species you are stocking if you expect your plants to stay intact. If you find that some of the drawbacks of live plants are a little too much for you, there is nothing wrong with choosing artificial decor for your aquarium. Fake plants are most often made of plastic, and some can look almost real. If you put your mind to it, an aquascaped tank with artificial decorations can look just as good as a tank with real plants. Plastic plants are easy to remove and clean when they get mucked up, and replacing them is simple. You can also rearrange your tank any time you wish. In fact, rearranging decor in a tank is one way some fish keepers keep semi-aggressive species in check. Territorial behaviors can be minimized when the territory is changing all the time. Some fish that live in brackish water, such as the green spotted puffer, require artificial decorations, as freshwater plants will quickly perish in their tanks. 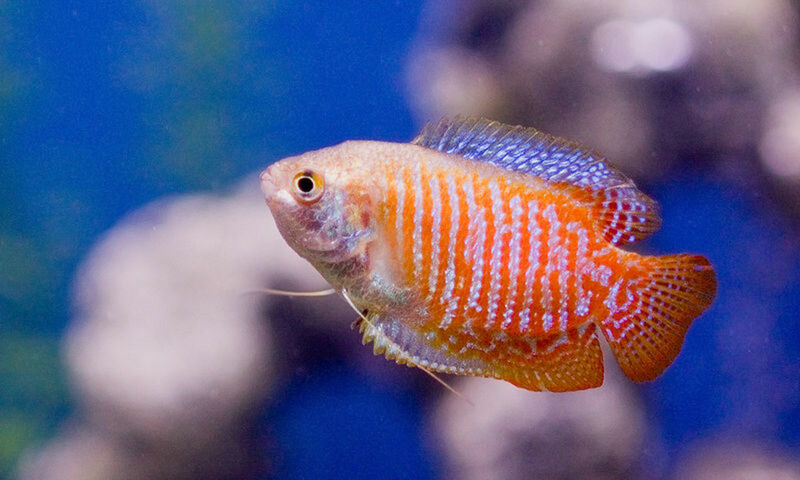 You may also find the durability of artificial decorations preferable in African cichlid tanks, as these fish have a tendency to move a lot of gravel around, and can easily unearth plants live or artificial. Vacuuming your tank is a breeze with fake plants. You don’t need to worry about the root system, and you can even take the decorations out as you clean the tank. And, you won’t have to worry about vegetable matter accumulating on the substrate. Artificial decorations don't quite have the same magic as live plants, natural driftwood and stone, but they are a bit easier to clean. Life with artificial aquarium plants is free and easy. But as you probably realize by now there are some drawbacks as well. The first has to do with appearance. Many plastic plants look terrible, and some even come in colors that don’t really exist in nature. The bottoms are lightweight plastic, designed to grab into the gravel, but this rarely works. Instead, they often float to the top, causing a whole lot of aggravation. There are also some really good artificial plants out there. They have weighted bottoms so they stay where you put them, and at first glance they look very real. These are the decorations you want if you intend to go artificial. However, they are somewhat expensive, and adding three or four large ones may end up costing as much as the tank itself. Of course, the biggest drawback is that fake plants do not have the same natural properties as their live counterparts. This means you need to be more on the ball with water changes, algae removal and general tank maintenance. 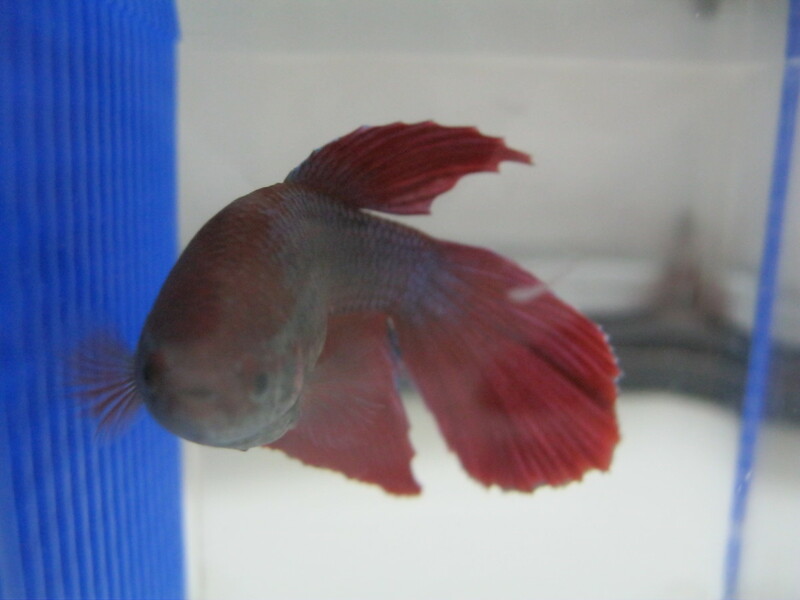 You may wish to over-filter your tank, and you will probably want to add some filter media such as activated carbon to help deal with waste chemicals. Can fish tell the difference between live and artificial plants? Fake decorations serve the same purpose as live, providing shelter and a realistic environment. However, it seems reasonable to assume that fish that live in aquariums with artificial decor are missing out on something. For some it may be a dietary supplement. For others, there may simply be a sense of well-being that comes with natural items. Live or Fake: Which Plants Should You Choose? 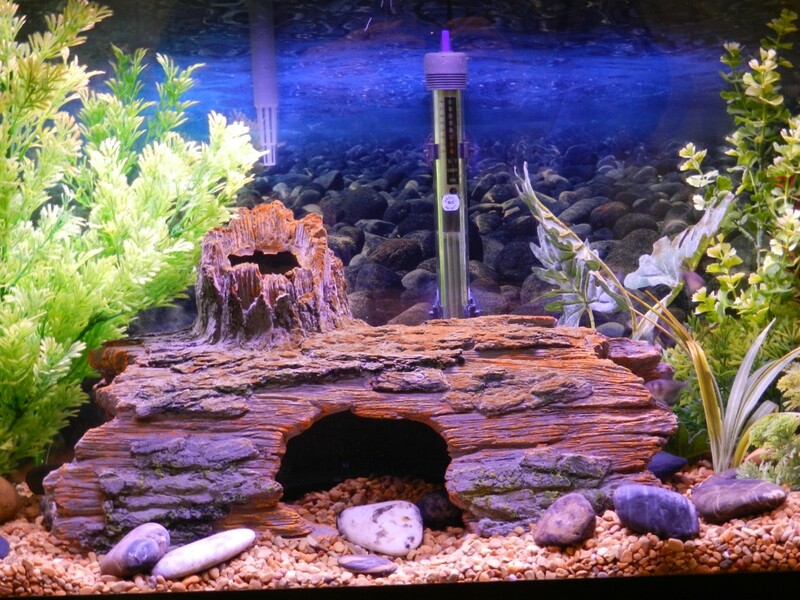 So you’ve read about the pros and cons of real and fake aquarium tanks. Now it is time to make a choice. Is either definitively better? As someone who has run successful tanks with both, I can only tell you what I think. Given the choice, I would much rather a densely planted aquarium with live plants, real rock and real driftwood. To me, it is a more natural environment and the essence of what I enjoy about fish keeping. That is, creating a tank as close to a real lake or stream as possible. But it does take time and effort to get there. 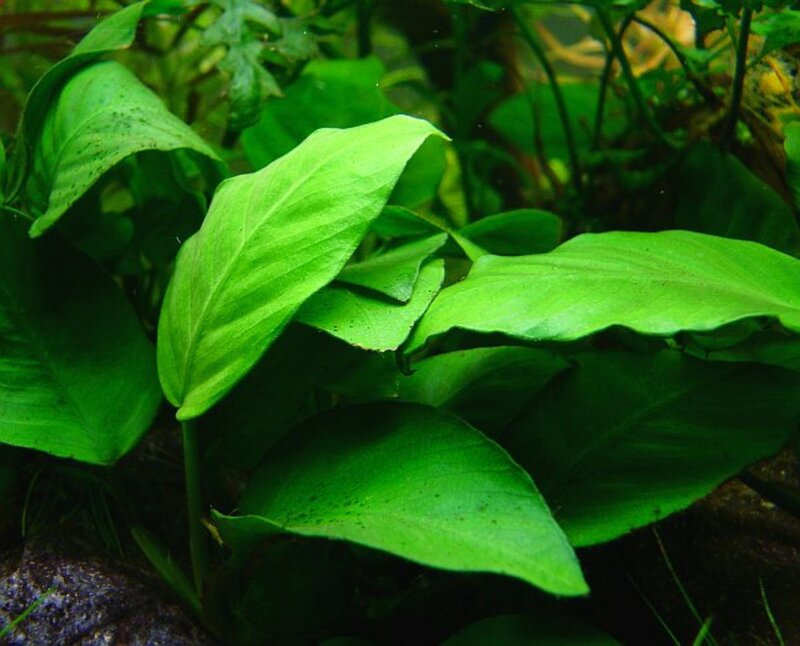 Plants need to mature along with your stock, and you must care for them just as you do your fish. There have definitely been times I have not been up for this, and my more recent tanks have been artificial. While not as enjoyable as the real thing, there is a certain satisfaction in creating an artificial environment that looks something like the real world. I don’t know that I’ve even been especially happy with my results, but there are some people out there who are very good at it, and create artificial ecosystems that look very real. So, that, to me, is what it really boils down to. Do you want to take the time and effort to cultivate the most natural ecosystem you can, within the confines of your tank? Or, will you opt for a more flexible, more forgiving approach? Live or artificial aquarium plants? The choice is yours to make! Which is better for your particular fish tank? something I just learned about plastic plants. they are garbage traps... I just brushed one and tons of (probably incredibly ancient) garbage just starts flying out. so I think I will be switching to live asap. Thank you for your articles. I'm so glad to have found your articles! Driftwood is also good for your tank along with live plants. Out of all the live plants I used for freshwater aquariums, hornwort was my favorite for multiple reasons. The only negative was that it tends to lower your pH fairly quickly once it gets well established, since it absorbs a lot of nutrients & trace minerals from the water to sustain its fast growth. I think both have their own pros & cons. If you are a nature lover you will go with live plants and get real feelings, but you have to spend more time for taking care of them. In other hand artificial will only cost you for buying.